Every year we seem to find Christmas preparations getting earlier, with the shops starting the marketing as early as the end of August. However I try and keep things in perspective until the beginning of December, although you do have to think of cakes and puddings a bit earlier. The build up to the festivities has always started with the arrival of the latest Christmas/winter themed picturebooks and ends with a surfeit of “Muppet Christmas Carol”. This year I am going to highlight a couple of new books and several ‘old’ favourites and I hope that you enjoy them as much as I have done. 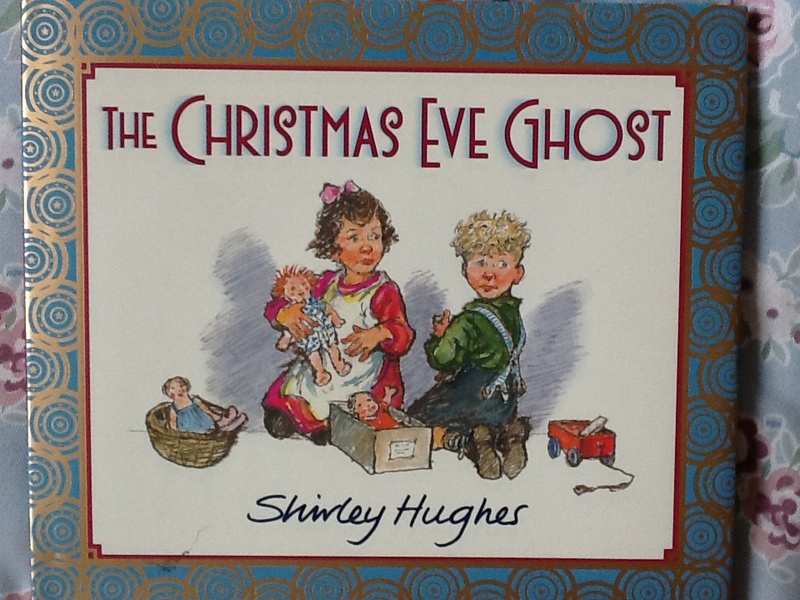 This wonderful evocation of Christmas in the 1930s is really something special from the amazing Shirley Hughes. It is set in working class Liverpool and gives us an insight into how people were influenced by their religious upbringing. When their widowed mother has to leave them for a short while, Bronwen and Dylan are frightened by the odd thumping sound coming from their outhouse. Lucky their neighbour, Mrs O’Riley took them in to her home and found the reason for the sounds. The story is full of pathos and has a real lesson for us all about the meaning of goodwill to all men. 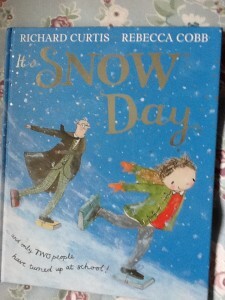 This book came out last year and stars one of the favourite characters in children’s picturebooks. 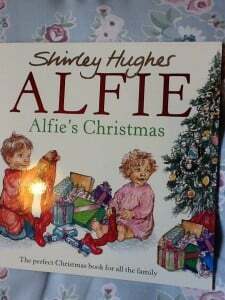 Perhaps Alfie and Annie Rose live a somewhat idealized life compared to many, put they still have to go through all the worries and hopes about the coming festivities. This story perfectly shows the excitement that the children experience in the weeks leading up to Christmas. 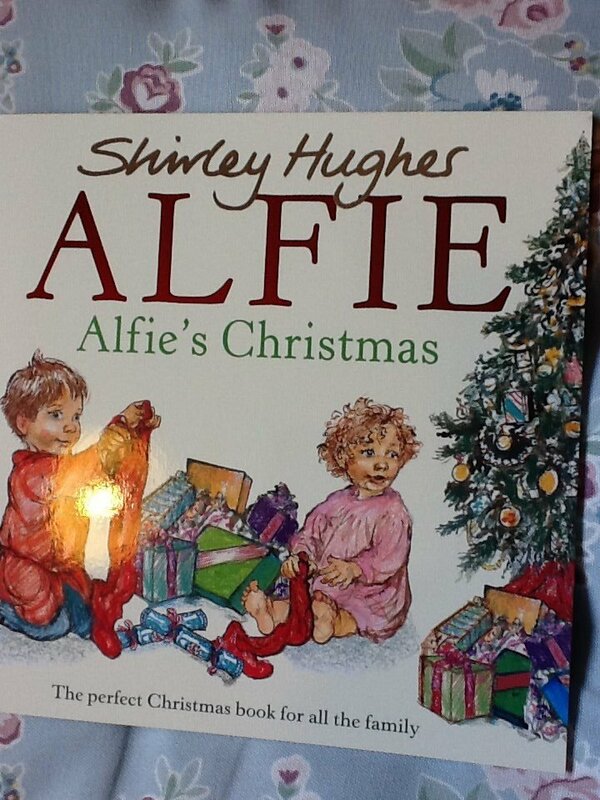 From Christmas carols and plays, to making decorations and mince pies, we join Alfie and Annie Rose in their preparations and their enjoyment of the big day. 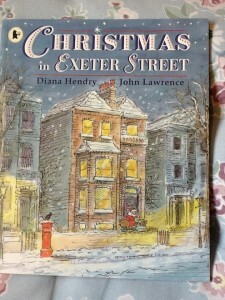 Although this book was first published in 1998 it is still one of my favourites. The gentle humour surrounding the young angel is a reminder that not everyone wants a halo and wings. 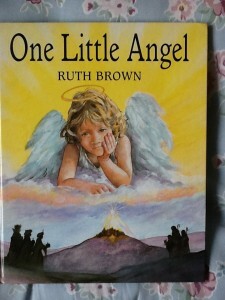 The twist at the end is something of a lightbulb moment that makes sense of the whole story and Ruth Brown did a magnificent job in leading us away from the real plot. 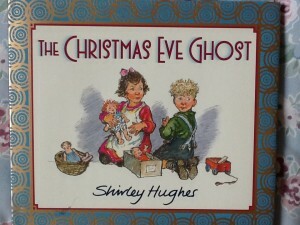 It should be read in every primary school at this time of year. An enchanting retelling of the nativity story, but from the perspective of a cat who takes shelter in the stable on that cold winter’s night in Bethlehem. It is a very grumpy cat, so we get his opinions about cattle, donkeys, sheep and all the other animals and people who arrive to see the new baby that has been born. However, the lives of all there were changed by that event and even the cat is mellowed by his experience. 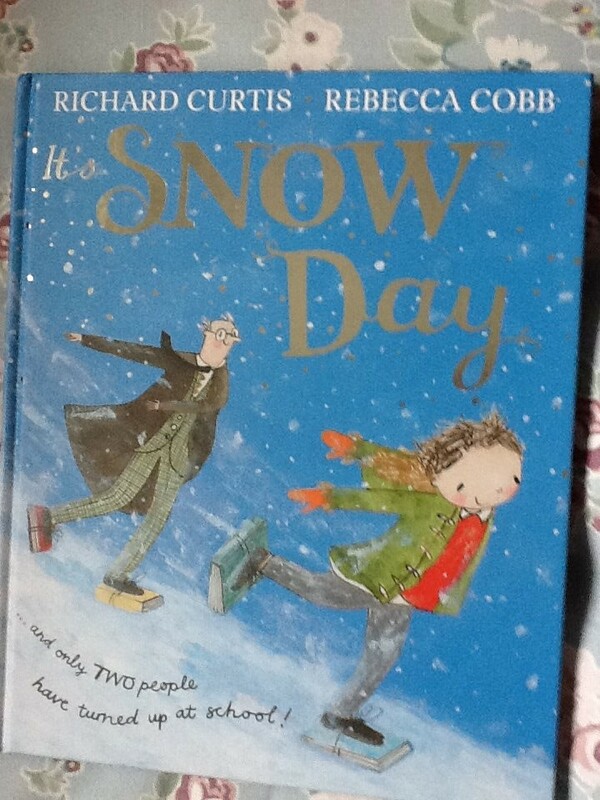 Whilst this new book is not specifically about Christmas it is about the simple joys of snow and the magic of imagination which can flourish when we change to our normal routines and attitudes. This really had me chuckling at the events and the two characters. 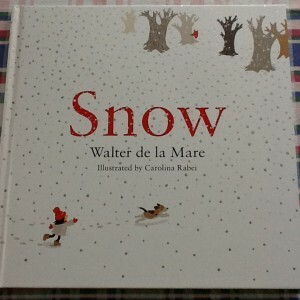 It is a gentle book , full of hope and a belief in the simpler ways of enjoying life. I am preparing a longer review of this book for the School Librarian, but it had to make an appearance in my own listing for this year and will definitely be on my annual “to read” list. I first spoke about this book in my previous review of picture books. It is a lovely re-drawing of the poem by de la Mare, with a slightly 1950s feel to the illustrations with their simplicity and limited colour palette. there is that really simple joy which comes from making the most of what surrounds us and which we often forget in the hustle bustle of the modern world. The final two books have elements that bring them together. They have gatherings of people, although in some stories it is a greater number than in others. There is a strong sense of family and friendship and also of making the best of things when there are a few problems. A wonderful story of friendship featuring the loveable Percy the Park keeper and the wide assortment of animals that live in his park. 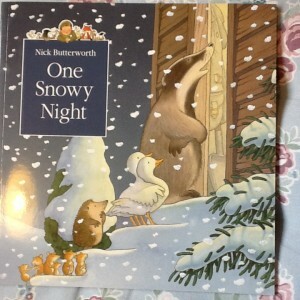 When the snow falls heavily the animals arrive at Percy’s hut for a bit of shelter, and how things work out makes for a magical tale which never fails. 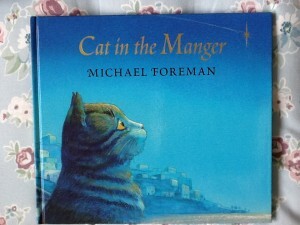 Amazingly this book was first written in 1989 and I can only suppose I missed it because we moved to Cyprus at the end of that year. 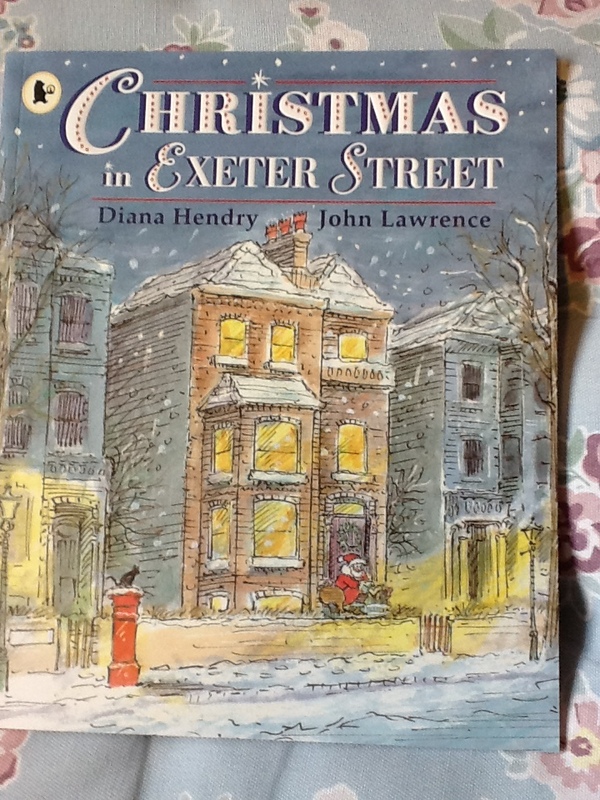 It is a very funny tale of what happens when a house if filled lierally to the rafters with people seeking shelter for the Christmas break. We end up with 18 children that father Christmas has to remember, never mind all the adults. It is rather like a festive game of ‘sardines’. Thankfully the book was republished last year by Walker books, so it is available to a whole new audience. I do hope that you get the chance to read some of these books and in particular have the chance to read them to a young audience because they really do add to that magical feel that we have for Christmas.